Walking is a primary mode of transportation in many developing countries. Yet the soil in these countries is highly contaminated, putting millions of people at risk of infection, disease, amputation, and even death. Help someone avoid the daily dangers of cuts, fungus, and insect bites by donating a pair of shoes. Every pair of shoes that your club donates will allow someone to treasure a worry-free walk to school, the market, or the home of a loved one. 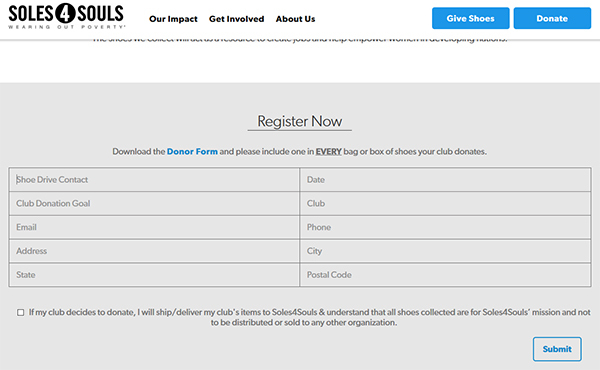 Join GFWC’s cooperative giving project with Soles4Souls and register on the Soles4Souls website today. Keep the “Thank You” webpage open that displays immediately after the registration is processed, and download the marketing toolkit. If you close it accidentally, your assigned representative can resend it. Determine if there is a drop-off location within driving distance. If not, a Soles4Souls representative will be in touch to plan logistics. Contact Stephanie Hathaway at stephanieh@soles4souls.org if you have not heard from your assigned representative within three business days. Share your success stories with pr@gfwc.org to be considered for the Volunteers in Action blog. GFWC Volunteers in Action Week is an annual call to action! From April 21-27, show the strength and positive impact of volunteerism to everyone in your community. It’s no accident that Federation Day (April 24) takes place during Volunteers in Action Week every year. April is National Volunteer Month, created to both honor volunteers and inspire volunteerism in your communities. That makes it a perfect opportunity for you to invite friends, family, and neighbors to join you for your GFWC Volunteers in Action Week activities. The week is a great chance to make GFWC’s efforts visible all across the country while celebrating GFWC’s founding. Plan your projects now and don’t forget to share your successes with pr@gfwc.org to be considered for the blog! Easier to share. Simply send the web link to a fellow clubwoman, and she can fill it out no matter where she accesses it from. No download necessary. You don’t need Adobe Acrobat or to download anything like you would for a PDF form. Sort your data. HTML forms make it easy to export and sort the information users provide. Consider how an HTML form could save your club time organizing an event or planning a project! Contact your technology provider for options within your website content management system. Massachusetts clubwomen have mobilized to source used books for More Than Words (MTW), a social enterprise that empowers youth ages 16–24 who are in the foster care system, court-involved, homeless, or out of school. Youth at MTW manage two bookstores near Boston and an online retail business, gaining critical work experience while receiving educational and mentoring services. A retired teacher and former foster parent, State President Lynne Stader seeks to not only help disenfranchised youth but empower members in direct-action advocacy. 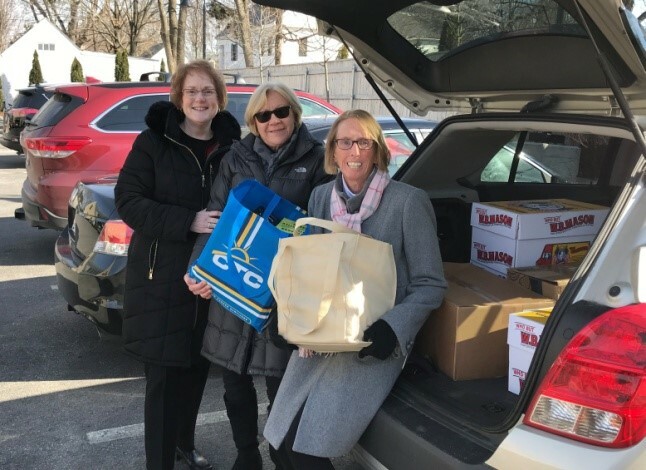 Clubwomen around the state have been filling President Stader’s trunk with bags and boxes of books when she arrives for club visits. Members have sourced books from friends, neighbors, yard sales and more. Reporting shows members have already collected more than 14,000 books in the first 9 months of the project. 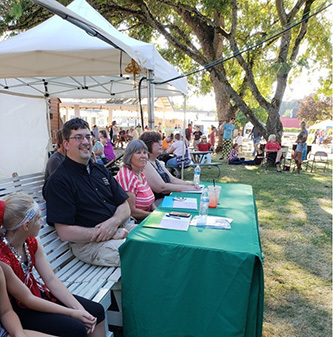 Members have also rallied by getting book drop bins installed in their communities, purchasing books at events, and connecting local libraries to MTW as added pick up sites. A GFWC Massachusetts Day of Service at MTW is planned this summer. Young people from MTW on site at GFWC Massachusetts state meetings have shared their stories. One graduate of the program cites: “Before MTW I was in and out of hospitals, residential programs, and group homes. I learned about MTW from one of my friends in my group home. I was really excited at the idea of being able to get work experience and be paid to work on myself at the same time.” In 15 years, MTW has grown to serve more than 300 youth annually. GFWC Massachusetts is proud to be helping these young people take charge of their lives. A federal ban on bump stocks—devices that allow semi-automatic rifles to function like machine guns—took effect on Tuesday, March 26, 2019. In December, the Justice Department issued the rule, which clarified that existing prohibitions against fully automatic weapons also cover bump stocks. Under the new rule, owners of bump stocks were given 90 days to turn in or destroy them. That period ended on Tuesday. Acting Attorney General Matthew Whitaker signed a regulation outlawing the devices after Justice Department officials reviewed prior rulings and clarified the devices were illegal machine guns. We send our deepest condolences to friends, family, and the GFWC of Holden Beach (North Carolina) on the loss of Judy Brock. Our thoughts are with Linda Butcher, a former President’s Assistant to International Past President Carlene Garner, whose husband passed away. You can send her cards at 5754 Sealawn Avenue NE; Tacoma, WA 98422. The GFWC Oregon Valley District, GFWC E.S.O. Regional Readers (Indiana), Reed City GFWC (Michigan), and the Munster Junior’s Club (Indiana) are featured on GFWC’s Blog. Beautify your local park, creek banks, or school playground. There are many species of trees that provide distinct beauty, including the maidenhair, blue spruce, or birch tree. Reserve Federation Day (April 24) as a time to plot out your final Arbor Day plans so that your club leaves a lasting mark on April 26. Want to make sure you have a smooth ride from the airport to Convention? Super Shuttle makes that easy. Shared Ride – $18, including 18% tip. Round Trip Shared Ride – $34, including 18% tip. Save by booking your return trip in advance! They also offer AAA Discounts. Start off your trip with convenience. Tomorrow is the final day to spread the love to your club or Federation sisters by purchasing an ad in the Convention Program. Show everyone at Convention why you appreciate the clubwomen in your life. Orders and payment must received by tomorrow, March 29. Submit your Convention Program Ad form and payment via credit card now to mba@gfwc.org. GFWC has new year pins to celebrate your membership milestones. 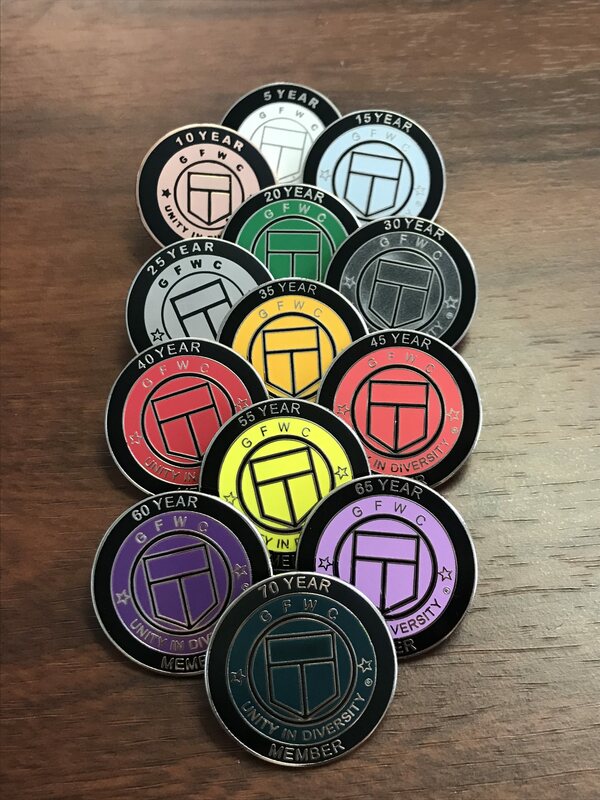 Featuring bright colors, these $5 pins recognize from 5 to 70 years of being a member of GFWC. Check them out in the GFWC Marketplace.